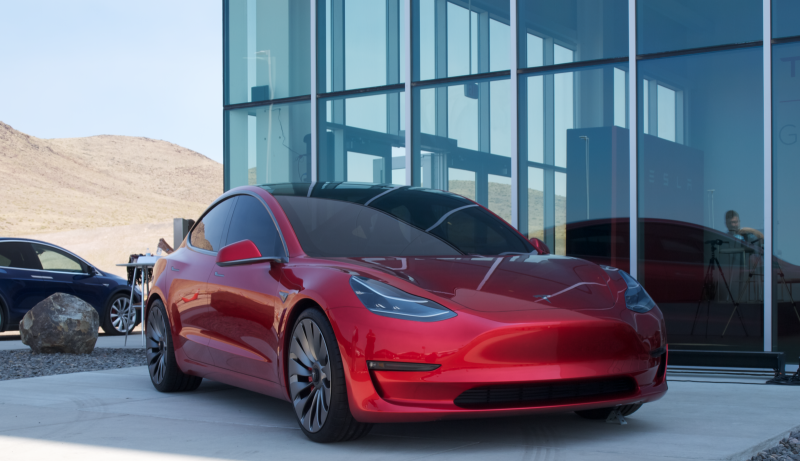 All current Tesla models that will be produced in its Fremont, California factory will come with self-driving hardware built-in capable of Level 5 autonomy going forward, including the upcoming Tesla Model 3, the company announced tonight. The goal is fully-autonomous capability by the end of 2017. That’s right—Level 5 autonomy on public roads by the end of next year. According to the announcement, Tesla will manufacture all of its cars with the hardware necessary for Level 5 self-driving systems going forward, including the Model S, Model X and new Model 3. Elon Musk claims that the Level 5 system should be at least twice as safe as a human driver. At the introduction of the Model 3, it wasn’t clear whether or not every Model 3 package would come standard with the hardware and software to handle Autopilot and any other self-driving features. That’s been cleared up now, but there’s a kicker. Just like on current Model S and Model X models, you can purchase the cars with the self-driving hardware included. But, in order to activate the software and actually use the Autopilot or upcoming advanced self-driving safety features, you will have to option it when you order the car, or pay more for it later. The new hardware and software capabilities still need to undergo all of the testing required by Tesla’s own standards, as well as government approval before unleashing Level 5 autonomous cars onto the streets. The cars with the older hardware will continue to be updated but will not be capable of achieving full autonomy. This also means that new Teslas, going forward, will temporarily be lacking some of the safety features currently available on the older hardware cars, like auto-braking, collision warning, lane-assist and active cruise control. As per usual, wireless software updates will add the features as they become available, which is expected to be over the next three months. The plan is for the car to be capable of autonomously driving owners from Los Angeles to New York by the end of 2017. Musk also confirmed that the car will look like a car, with no weird protrusions and a relatively seamless integration of the additional autonomy hardware. Autonomous cars we’ve seen previously – like Google’s self-driving car – had spinning bits on their front for various LIDAR and other autonomous systems. Not so on the Tesla. The new system will come with two options—one that uses more cameras than current Tesla’s for redundancy and is not fully autonomous but rather an improvement on the current freeway Autopilot system, and a second option that uses an improved ultrasonic radar for the Level 5 piloting. In the media call following the announcement, Elon Musk said Tesla would take responsibility for any incident involving a failure of Tesla’s systems, but the company would not be blindly taking responsibility for all incidents like other companies including Volvo, Mercedes and Google have offered. “It’s up to your insurance,” Musk said. It’s also not likely that Tesla’s hardware would be made available to other companies due to the immense amount of integration with all functions of the car to work properly. The long-term goal for the new hardware is a ten-fold improvement in safety, but on launch it should be twice as safe as the human alternative. It was also made clear that Tesla would not set a firm release date until it collects enough data. The company will be collecting information from the new hardware in its cars going forward in “shadow mode,” and will still need government approval before anybody goes cross-country completely autonomous. The prospect of Level 5 autonomy by the end of next year is an incredibly bold claim to make following a year of heavily publicized deaths and accidents surrounding Tesla’s current Autopilot system. It’s going to be a big year for autonomous cars, and Tesla just pulled the rug out from everyone else in the industry.